The Labyrinth is the smoldering new full-length from Oakland-based old-school death metal perpetrators, NECROT, which features within its ranks current and former members of Acephalix, Vastum, Saviours, and Watch Them Die. Set for release on CD, digitally and deluxe, foil-stamped LP on April 15th via Tankcrimes Records and on cassette via Sentient Ruin in the US and Extremely Rotten in Europe, The Labyrinth spews forth eight tracks amassed from three hard-to-find and long out-of-print demo tapes. Tracked at Lennon Studios by the late great Jef “Leppard” Davis (Abscess, Acephalix, Vastum) and at Earhammer Studios with Greg Wilkinson (Brainoil, Annihilation Time, Noothgrush) and mastered at Mammoth Sound by Dan Randall (Ghoul, Toxic Holocaust), fans of the coffin-toned, bone-crush of Autopsy, Bolt Thrower, Sacrilege and the like pay heed. Let your ears bleed to the sounds of “Rebirth In Chaos,” now playing at Invisible Oranges at THIS LOCATION. Formed by the duo of bassist/vocalist Luca Indrio (Acephalix, Vastum) and drummer Chad Gailey (ex-Vastum, Atrament), and subsequently rounded out by guitarist Sonny Reinhardt (Saviours, ex-Watch Them Die), NECROT is one of the most punishing, savage and treacherous death metal acts to ever tread Californian soil. Initially forged in 2011 as a side-project of Acephalix, NECROT have since then built a devout following in their native Bay Area and beyond, and have become known as a merciless and bloodthirsty death metal killing machine thanks to their bulldozing live sets and their savage and butchering recordings. Since inception, the band has only made their music available as very short and hard to find demo tapes that are now completely sold out, impossible to find and have become something of a cult object or collector’s item, elevating the band’s reputation to that of absolute cult and DIY monument in the Bay Area underground metal scene. 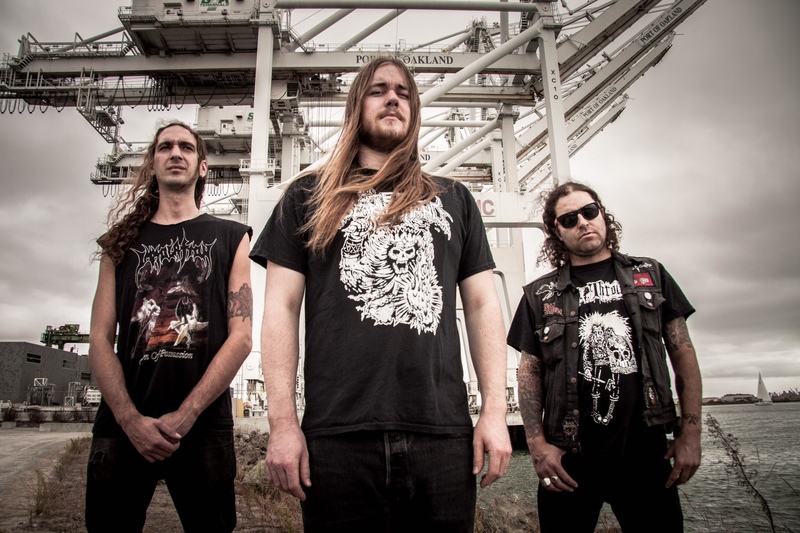 Taking cues from legends like Asphyx, Bolt Thrower, Grave, Discharge, early Sepultura, early Morbid Angel, and Entombed, NECROT have thus far existed as a power trio with the build and attitude of a bloodthirsty tank. 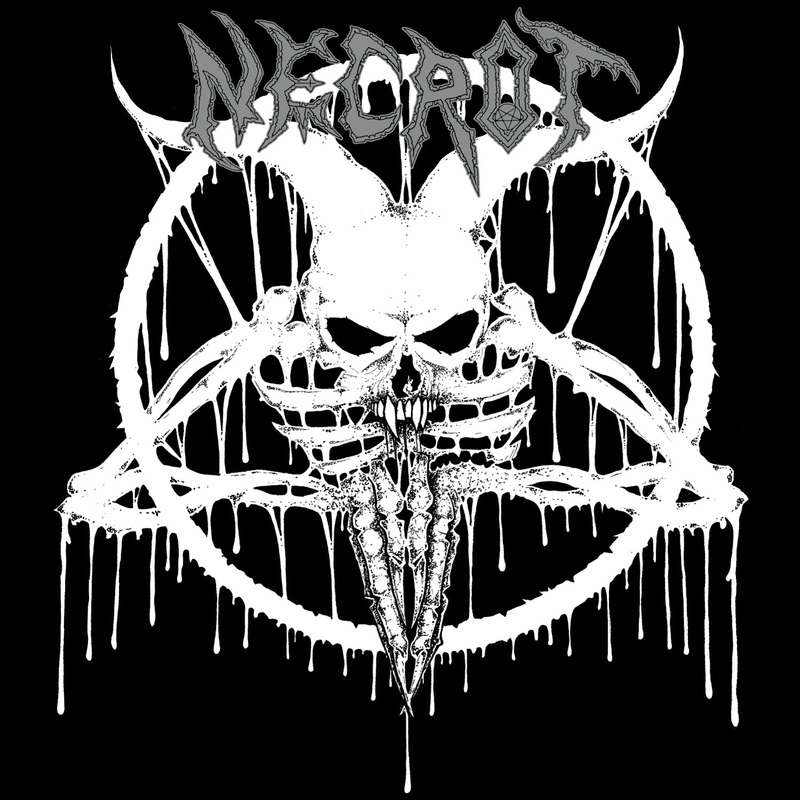 NECROT’s music is a literal onslaught of buzz-sawing death metal riffs and spine-rupturing rhythms – an authentic sonic bludgeoning that can batter the listener’s flesh into complete submission within seconds, and which owes much of its crude heaviness and primitive ferocity to old-school death metal just as it does to (crust) punk.